This planet was created over a year ago but was not able to finish it up in an acceptable manner, again I am my biggest fan! Anyways, I have decided to make a series out of the Nightmare System artwork, this being the "ice" version. 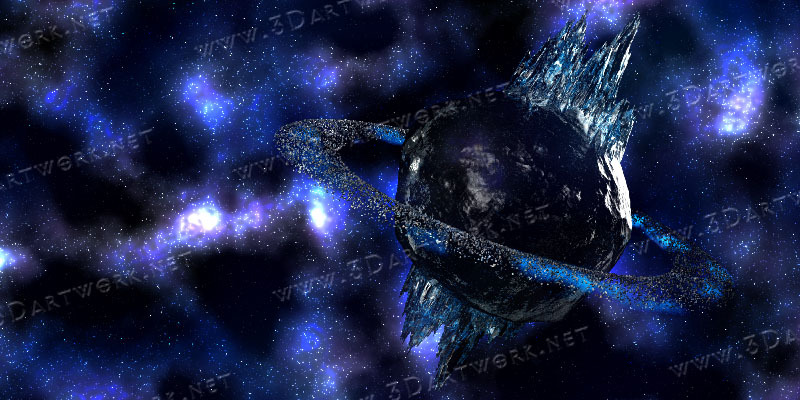 I will look forward to creating other subject planets for this series. 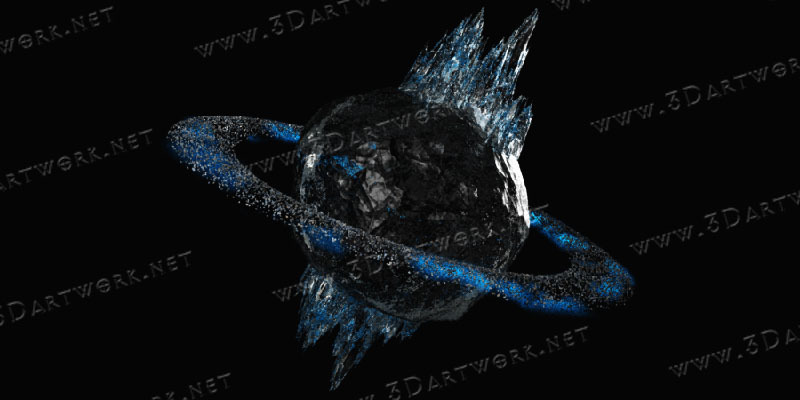 Below is the render of the planet, will update as I get more details added & wrap this up as soon as I can. I think it would be widely liked! Here is an update of my progress! Artwork is now finished and posted in the gallery.